VIJAYAWADA: Admissions for the Amaravati campus of SRM University for the year 2017-18 are now open and the candidates can apply for its various engineering courses. They are required to apply at its official website - www.srmap.edu.in. May 15 is the last date for the submission of applications and the personal interviews will commence from June 1 and the entire process will conclude by June 10. The academic session will start in the first week of August. Only students who secured a rank within 1,25,000 in JEE Mains 2017 or within 35,000 in SRMJEEE 2017 or a minimum of 1,200 in SAT are eligible to apply. In addition, they should have secured a minimum of 60 per cent in class 12 board examinations in physics, chemistry and mathematics. The scores in JEE Mains/SRMJEEE/SAT will have a weightage of 70 per cent and the remaining 30 per cent is for the interview and student portfolio presenting student’s achievements. According to a press release from SRM University, the selection criteria has been designed in a manner to ensure that students with an all-round development are selected. Direct admissions will be given to meritorious students - national level Olympiad participants, NTSE/KVPY scholars, students in the top 5,000 ranks in JEE Mains, national and State board toppers. 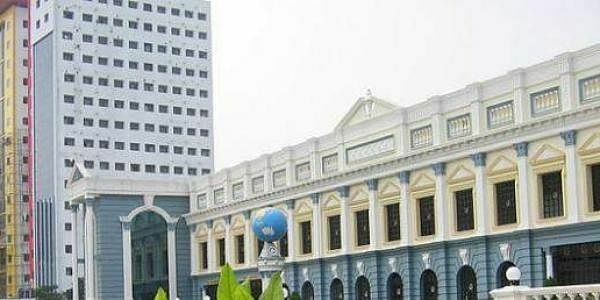 Amaravati campus of the varsity will initially launch programmes in computer science, electrical and electronics, electronics and communication, and mechanical engineering.